With the world's prison population continuing to grow and the number of inpatient beds in psychiatric hospitals on the rise, establishing valid and reliable methods of identifying individuals who will commit violent acts is an important global health and public safety issue. One approach to identifying future offenders is through the use of risk assessment-unstructured and structured methods of predicting the likelihood of antisocial behavior. Although much has been written on the performance of risk assessment in research settings, little is known about current standards of practice and relevant public policy across the globe. 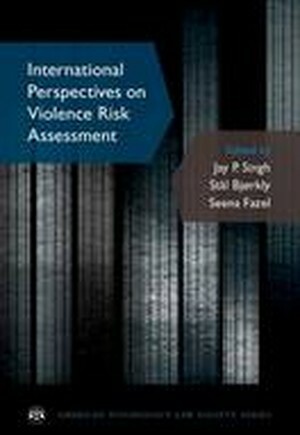 International Perspectives on Violence Risk Assessment includes chapters by leading risk assessment scholars in more than 15 countries and explores the topic from a truly international outlook. Using findings from the seminal International Risk Survey (IRiS), the largest qualitative study in the history of the field, current assessment, management, and monitoring practices on six continents are explored. Authors identify and describe the most commonly used risk assessment tools, examine risk communication preferences, and provide recommendations for mental health practitioners, criminal justice professionals, and legal professionals. Finally, authors review the seminal research studies, current practice guidelines, and relevant legal statutes of their jurisdictions. This volume serves as an invaluable resource for researchers, practitioners, and policymakers interested in this rapidly evolving field.